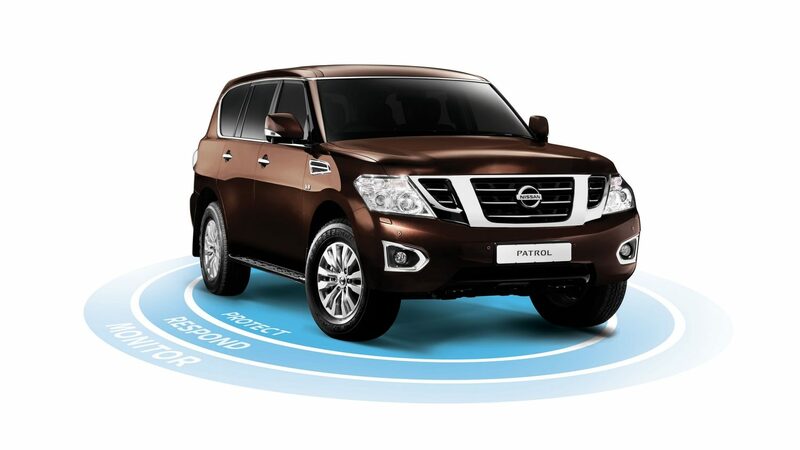 The all-new Nissan Patrol is no ordinary SUV. 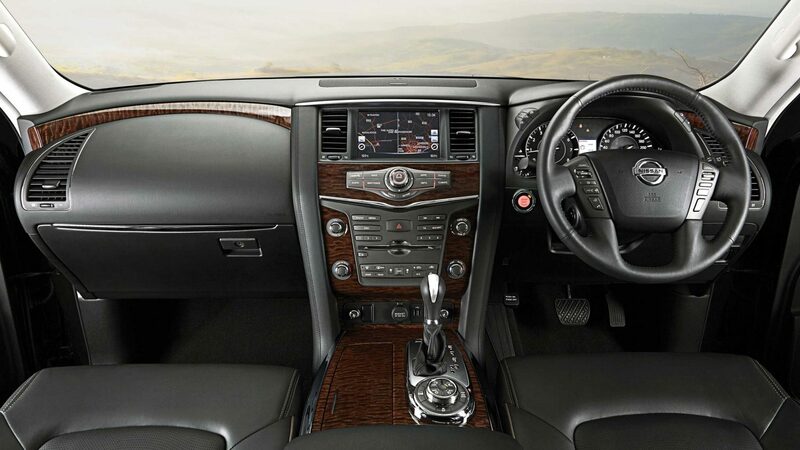 Enjoy the home quality feel when you sink into plush leather, climate controlled interior. Allows you to see the front of your vehicle without leaving the comfort of your seat. Colour monitor which displays front and rear power ratios, the trip computer and fuel economy and exterior temperatures. Press the button on the door handle or trunk to unlock them, while the key remains in your pocket. 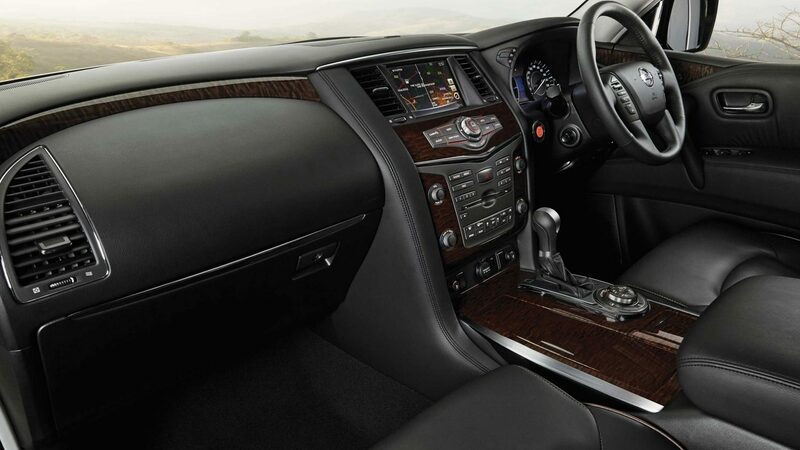 The all-new Nissan Patrol offers the largest interior space in its class. With improved legroom and expansive luggage space it creates in seconds through the easy seat fold operation. Two seat settings can be stored including side mirrors and steering column. Built-in cooler box with double hinged design to enable access from first and second row seat and has capacity for six 500ml drinking bottles. Allowing front and rear passengers to personally set the air conditioning to different levels. 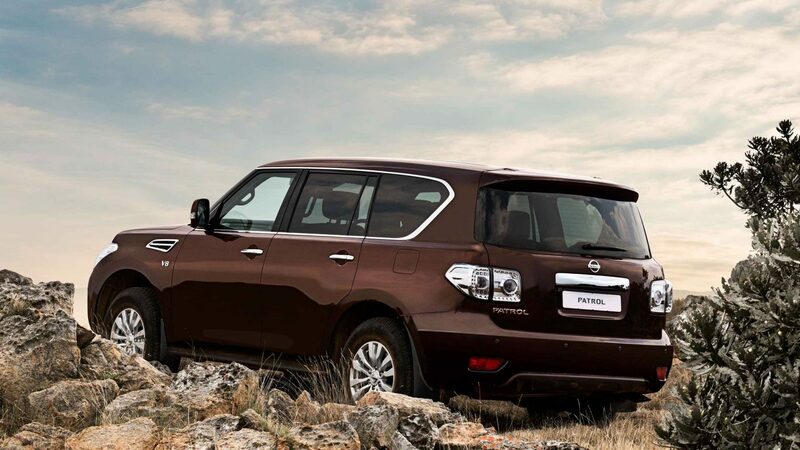 The all-new Nissan Patrol is a statement of luxury with a formidable on-road and off-road presence. The Suspension system has been implemented to ensure remarkably low body roll when powering through corners and provides better traction through rough terrain. HBMC plays both the role of shock absorbers and stabiliser bars, allowing for full wheel travel, meaning your wheels will stay firmly on the ground even when you're off the beaten track. Allowing the driver to maintain momentum, even on slippery slopes or roads when a wheel is spinning. Offers 4-wheel independent suspension. Working with the chassis and the body frame the system maximises the suspension stroke on off-road running and prevents roll angle, to maintain flat riding with high damping force at cornering. The Nissan Safety Shield is a comprehensive approach to safety that guides the development and engineering of every vehicle we make. Intelligent Forward Collision Warning uses a front distance sensor, to detect the risk of a forward collision and prompts the driver to brake with an alarm. When the system judges that a collision cannot be prevented, Intelligent Emergency Braking is activated to reduce the rear-end collision speed by applying the brakes. Intelligent Cruise Control maintains the desired distance between the vehicle and slow moving traffic, and accelerates to the pre-set speed and distance as the traffic flow picks up.